EPIC FU blog - is twitter losing its intimacy? Nothing wrong with any of this, by the way. After all, web services are not created to sit around in the dark recesses of the Internet used by a select few who deem themselves above the masses. Not if the people running it can help it, of course. But are we losing something in all this growth, too? It might seem like the intimacy of Twitter is at stake, but I'm not sure that's really true. The genius of Twitter is that it can be just about anything you want it to be. Looking for a way to keep up with friends? Check. Looking for a real-time news resource? Check. Looking for a way to follow local events in your community? Check. Looking for a way to interact with the companies you patronize and stores you shop? Check. Looking for a way to get questions answered quickly? Twitter is that, too. And you don't have to be in a web browser to get it. Mobile devices and desktop applications are out there in every form and function you can imagine. Because Twitter has never capitulated to the demands of its users and added on tons of features, it remains free to be whatever it needs to be. 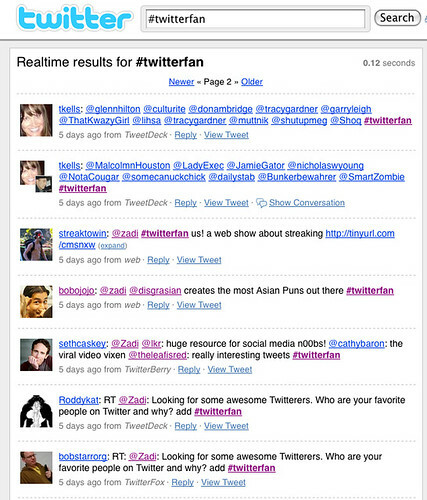 With its excellent API, Twitter allows other people to build tools that satisfy users who want, for example, groups. 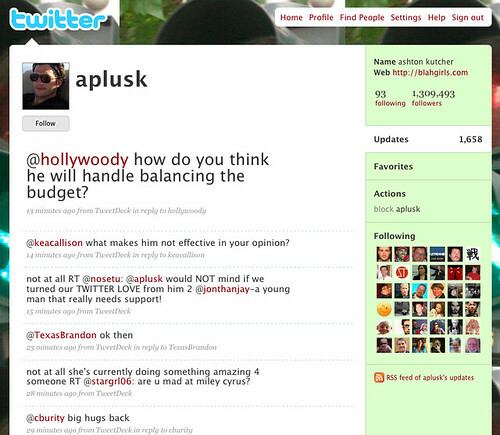 Twitter is probably the forerunner of what bloggers and pundits will eventually call "Web 3.0." That is, a seemingly simple service designed to be as fluid as water, completely cross-platform, and completely ubiquitous. So who are you following on Twitter that you feel is underrecognized? Who, when you tell others about him or her, gives the other person that marvelous sense of discovery? We asked that very question on Twitter last week and got quite a response. Now we want to know who the rest of you think are the unheralded Twitterers. Click this link and as long as you have the hashtag #twitterfan in your post, we'll be able to find it later on and follow up.